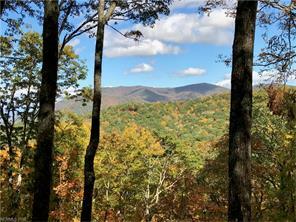 This prized homesite is one of Balsam's highest at 4,700 feet in elevation. Enjoy a fantastic setting, easy build site and panoramic mountain views. Located on a private way with only four other homesites, this is a rare opportunity to live among the clouds. Balsam Mountain Preserve is a private 4,400-acre club community with 3,400 acres of conservation land and completed amenities featuring golf, equestrian, scenic trails, tennis and dining.